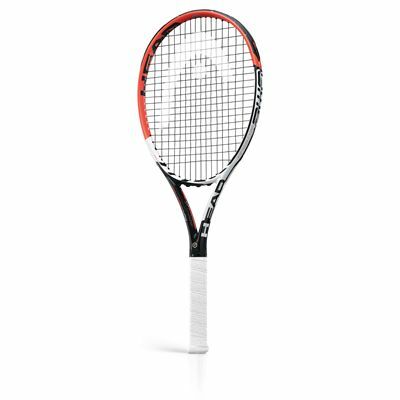 The Head Graphene XT PWR Prestige tennis racket is a quality choice and features Graphene XT – an advanced technology using the world’s lightest material which reduces the frame’s weight but keeps the swing weight of a heavier racket. Good power and forgiveness are offered by the 107in2 (690cm2) head, and its head light balance makes it manoeuvrable and more arm-friendly. The frame weighs 270g (9.5oz) and it is 27.25” (692mm) long, slightly more than standard length which gives more leverage on serves and shots. This racquet is supplied strung with a Multitouch 16 string in a 16x19 pattern and is a solid performance option. for submitting product review about Head Graphene XT PWR Prestige Tennis Racket SS15.